by Hans-Peter Rathke, Oldenburg, Germany. This mosque is large -- 57.5 x 57.5 x 65 cm. 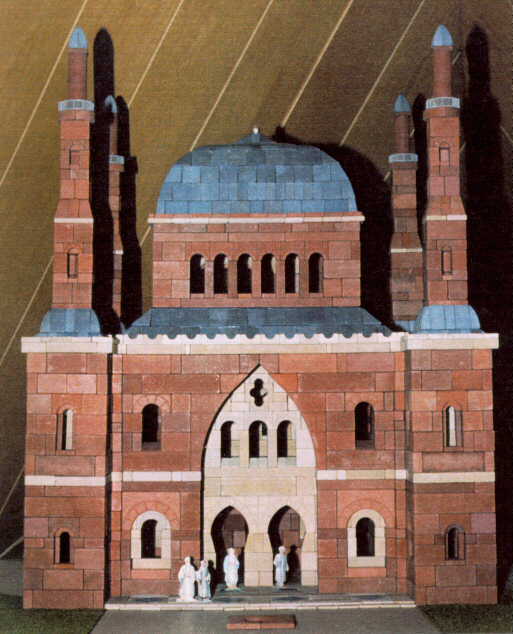 The four minarets are 75 cm high; the dome is 11 cubes (27.5 cm) square. Instead of using long wooden beams not supplied by Richter, AV Rathke bridged the four corners diagonally. That is a 'purist'. The entrance is very interesting. The shaping of the arch over the doors and the doors themselves takes great imagination. 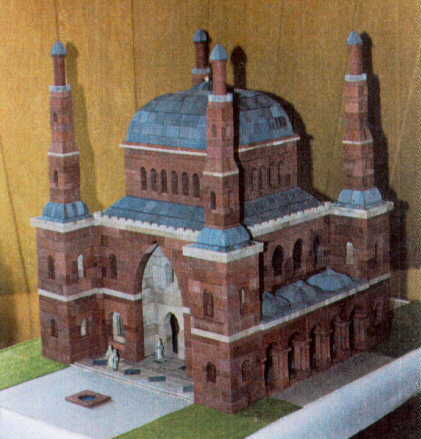 The four minarets can not have been easy to build. 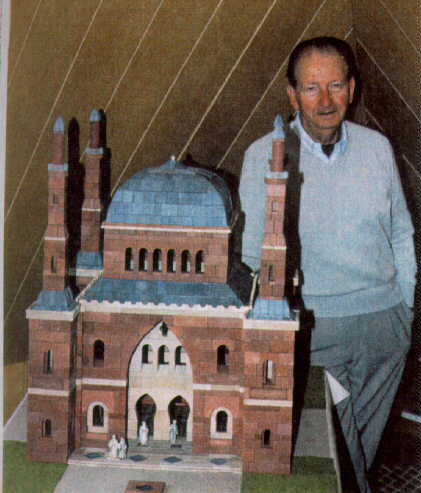 Hans-Peter Rathke and with his Red Mosque.